Here is a complete listing of Alfred Hitchcock’s silent film work, including his apprentice work at the Famous Players-Lasky British studio where he only designed titles, up to Blackmail, his last silent and first sound film. Noted are his credits for each film, and whether or not it is known to survive. All are feature-length except Number Thirteen and Always Tell Your Wife, which were both two-reelers. None of the films that Hitchcock did the titles for are known to survive. It is unclear whether the one reel that survives of Always Tell Your Wife features Hitchcock’s work or not. Around 2,000ft of The Prude’s Fall survives. The Passionate Adventure survives in a German titled version. There are at least two different prints of The Pleasure Garden in existence, a print which was shown a few years ago on Danish television being different in a number of respects to that in the BFI National Archive. Easy Virtue seems to exist only in 16mm. The Mountain Eagle is the only silent feature film directed by Hitchcock which remains lost. There are some striking stills from the production reproduced in Dan Aulier’s Hitchcock’s Secret Notebooks. 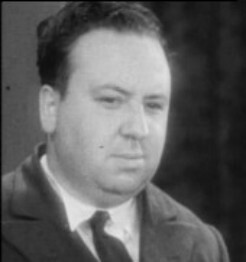 All of Hitchcock’s extant silent work is available on videotape or DVD, with the exception of Always Tell Your Wife. For more information, see Charles Barr’s English Hitchcock, Marc Raymond Strauss’ Alfred Hitchcock’s Silent Films, or the catalogue for the 1999 Giornate del Cinema Muto, which featured a retrospective of all Hitchcock’s extant silent films. Three reels, or 30 minutes of The White Shadow, on which Hitchcock served as assistant director and art director, have been discovered in New Zealand. The film was directed by Graham Cutts.